In the 2013 movie "Gravity," disaster strikes when the International Space Station is destroyed by collisions with space debris hurtling by. As the astronauts are set adrift in outer space, huge pieces of the ISS spin off to join the growing celestial landfill that orbits Earth. Humans are good at polluting their environment and space is no different. In fact, the amount of "space junk" now in orbit around the Earth may cause confusion with real objects detected by ATLAS. More important, space junk constitutes a real hazard to orbiting spacecraft. "Gravity" is fictional but in early 2009, a U.S. Iridium satellite and a Russian Cosmos 2251 satellite collided producing a tremendous amount of debris. 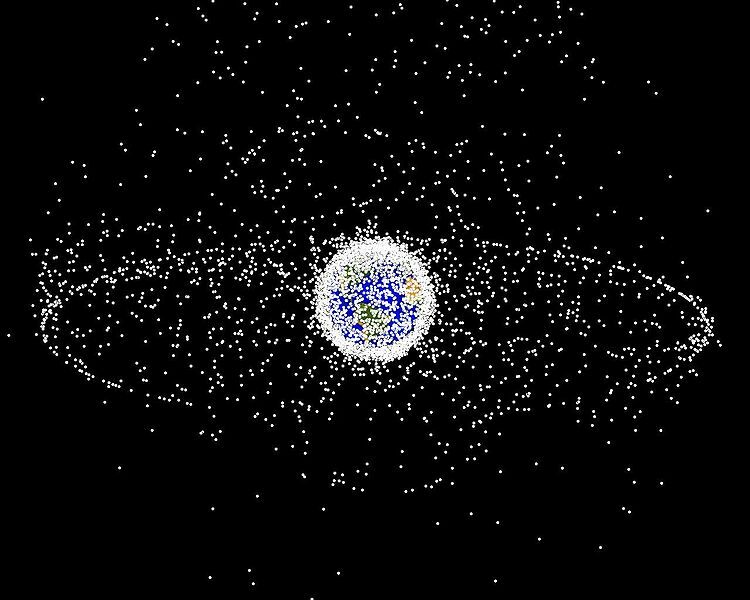 Once space junk exists, it's hard to clean up. Every piece of debris can create more in a "collision cascade." Such events threaten to make some satellite orbits impossible and prohibit spacecraft in those orbits because of the collision risk. NASA, the U.S. Air Force, and other international organizations track many objects but it's a constant struggle because of the high number -- NASA tracks about 500,000 -- and because their orbits change in a (usually) predictable but rapid way. Plus, they can only track junk they know about. What's needed is a survey that images the entire sky and tracks space junk every night -- ATLAS. ATLAS can see a 10 cm-diameter (about 4 inches) object in Low Earth Orbit (LEO) and detect objects of about 60 cm-diameter (about 2 feet) in Geostationary Earth Orbit (GEO). Objects in LEO are typically in the range of 200 to 2000 km (about 100 to 1,200 miles) above the Earth's surface while those in GEO are about 36,000 km high (about 22,000 miles). Because ATLAS watches how things move it can quickly distinguish space junk (which orbits the Earth) from asteroids (which orbit the Sun). It's really incredible when you think that the satellites that you can see with your naked eye moving slowly across the sky are hundreds of miles away from you and that ATLAS can detect something the size of a large beach ball when it is 1/10th of the way to the Moon!